On June 5, 1994, the eve of the 50th anniversary of D-Day, the Lawrence [Kansas] Journal-World ran an article written by staff reporter Nancy Smith. The article centered around the personal experiences of Les Pollom, 508th PIR, HQ 2nd Battalion. 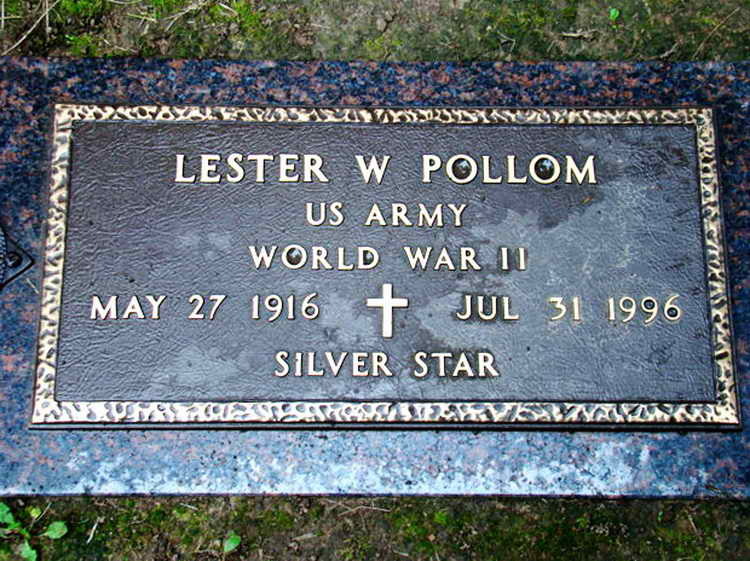 Les Pollom died on July 31, 1996. At his funeral a few days later, his widow, Barbara Colyer Pollom, delivered a eulogy that she had written in her late husband's honor.